So, you have a business– or maybe just an idea for a business. And, naturally, you want your business to be a reflection of yourself: multifaceted, flexible, ever-evolving. Although you are a beautifully complex individual, this doesn’t always translate well into a brand. Complexity can feel confusing to potential customers. Over-simplification, on the other hand, can mean that you end up niche-ing yourself into a corner. How do you explain to potential customers why you are offering nutritional coaching at the same time as voice-over work? How do you reconcile your new web design business with your pre-existing photography business? How do you stand out and become instantly recognizable and loved by your right audience? Branding as in the effective communication of your business’ essence or Why, through elements such as a name, tagline, and design. Branding doesn’t have to be icky. It doesn’t have to be limiting or obnoxious. At its core, branding is about communication. You might be tempted to leave branding by the wayside. But if you’re putting your business out into the world, you’re communicating, whether you like it or not. You may as well be intentional about it. You aren’t sure whether you should pull all of your interests together under one brand/website, create multiple narrow businesses, or keep some of your interests as hobbies on the side. You are having trouble coming up with a good name and tagline for your business. You can’t figure out your overarching theme or big Why. Or you’re having trouble communicating your theme in a way that doesn’t sound cheesy or vague. You struggle with combining several topics in one brand and presenting them in a way that is appealing and useful to your customers. You worry about assuring your clients that you can deliver their work, since there are other, unrelated projects that you’re working on. You are totally stumped when it comes to visual design. You don’t want to hit people over the head with your branding. You want to stand out in an authentic way. You have rejected branding up until this point for fear that it will limit you. Nothing against the specialists, but if you’re a specialist, this branding course is not for you. There are plenty of branding firms out there that will narrow your message down. This course is designed for multipotentialites who have no interest in suppressing their many passions, and want the tools to communicate their eclectic selves clearly and effectively. Emilie Wapnick is the Founder and Creative Director at Puttylike, where she helps multipotentialites integrate ALL of their interests into their lives. Unable to settle on one path herself, Emilie studied music, art, communications, film production and law, graduating from the Law Faculty at McGill University. She is the author of Renaissance Business, and has been featured in The Financial Times, Lifehacker, and The Huffington Post. Michelle Nickolaisen is a freelance writer and business owner at Bombchelle Industries. She writes about online business and marketing for agencies and companies, while showing freelancers how to be more productive and organized. Her project list for 2015 includes a serially published novel, at least one nonfiction book (to join Rock the System, her 2013 book), printed planners for freelancers, and more. She’s written for or been featured in Entrepreneur, FastCompany, and Sitepoint, among others. Whether you should combine your interests in one business or keep them separate, and how to proceed based on that choice. How to implement non-yucky branding that is an authentic expression of your plural nature. How to communicate your Why or overarching theme clearly so your right audience instantly feels like they’re “home” when they find you. How to tell your story and tie your various threads together. How to express the essence of your business through visual design. How to find or create imagery that fits your Why. How to juggle multiple businesses. How to build trust and authority when you have multiple, unrelated offerings. Abe Cajudo is a flux artist, progressive storyteller and freelance creative consultant from the Bay Area, California. He helps businesses build deeper connections with their customers by telling better stories—no matter the medium. Abe is the author of one book, director and editor of dozens of videos, and the designer of numerous graphic, web, and crowdfunding campaigns. Basically he likes making stuff. Margaux Yiu is a multiple media design factotum at a multipod-friendly company, where she has been able to learn gobs about entrepreneurism, unique abilities, and coaching. Margaux studied photography concurrently with human biology and zoology, and then interactive multimedia design when she realised there was no money in coaching rowing. Margaux’s overarching themes are Ingenuity, Differentiation, Exploration, Agility, and Shibumi. Shenee Howard is the brand chemist over at heyshenee.com. She helps aspiring entrepreneurs go from thinking about having a business to actually making money doing what they love. We are committed to your satisfaction with this class — and we want to make sure it’s a fit for you. 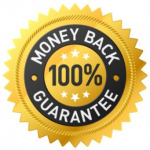 If for any reason you’re not entirely satisfied with Multi-Passionate Branding, let us know within 60 days, and you are welcome to a 100% money back guarantee. Your refund will be issued within one week to your credit card. I’m a super beginner, will this course be helpful for me? Yes! We start at the very beginning and assume you know nothing about branding. You’ll absolutely be able to follow along. Also, you’re always welcome to save the videos and watch them again when they are more relevant to where you’re at in your business. But we think you’ll find it helpful, even at the early stages. What’s the difference between this course and Renaissance Business? Renaissance Business is about coming up with a business idea that incorporates your multiple passions. Multi-Passionate Branding is about expressing that idea to your audience in a way that is memorable and authentic. Emilie touches on some branding issues in Renaissance Business, but we go a lot deeper in this class. Branding sounds yucky to me. Will I like this course? Honestly, we used to shudder at the word branding, too. There’s nothing we hate more than over-the-top, tasteless branding, or branding for branding’s sake. We are all about finding that balance between clear expression and subtleness. We also believe that branding is not about building hype, it’s about communication. You have great ideas and a unique skillset, why not help potential customers see that? I don’t want to create a business that’s too inflexible, because what if I want to change directions later? This class is designed specifically with multipotentialites in mind. We won’t say that you will never need to re-brand (sometimes a good re-brand is necessary and good for the spirit), but there is a way to brand yourself so that it’s broad enough to allow you to change direction and bring new passions into your business. Got questions? Shoot an email to emilie@puttylike.com or michelle@bombchelle.com.